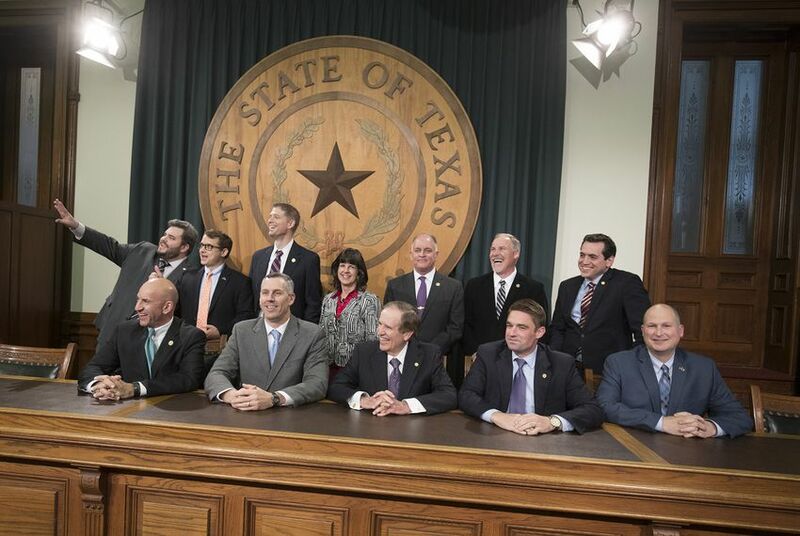 The conservative House Freedom Caucus called for the Legislature to address "head on" a state statute they say impedes Texans' ability to work and makes it even harder for them to pay back their debt. The effort is showing early signs of support on both sides of the aisle. State Rep. Joe Moody, a Democrat from El Paso, said he could "certainly envision a bipartisan effort to address an issue like this." "Where we have found a lot of room to work together in a bipartisan fashion has been in areas where we've got a little bit too heavy-handed in [doling out] consequences," Moody said. "The consequences of not paying in this situation can hinder you from continuing your career." But critics say the provision is counterproductive, since it can impede people's ability to work and make it even harder for them to pay back their debt. "It makes no sense to take away someone's only ability to pay off their loans,” Cain said Tuesday. "If Texas is going to live up to its reputation as a business-friendly state, we must remove barriers like this and others that prevent Texans from working." In a statement posted to Twitter after the report's publication, state Rep. Matt Krause, R-Fort Worth, another Freedom Caucus member, also suggested the provision was illogical and said it should be addressed during the next legislative session.